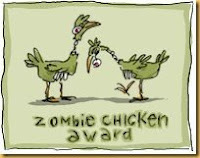 That leaves me with 3 other zombie chickens to pass along. 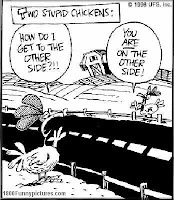 I'm not sure of the zombie chicken rules. Can I pass it back to other bloggers who have already been bestowed this honor, or do I "pay it forward?"